Well, along with the scripts, storyboards and story writing, I do a little bit of social media advertising as well! Currently I am designing simple poster ideas for Legacy, and hope to finalize these soon for printing. There is one central design that is being worked on so far, but I hope to get at least two versions of posters for the game ready soon. Because along with the business cards being distributed in Virginia, Florida and New Hampshire, the posters will be making an appearance in NYC!! I plan to visit Pratt Institute, possibly Columbia University (although I’m not certain), or the New York Public Library. Perhaps the Met if I can find any art students on the way there. Perhaps the Strand bookstore if possible. 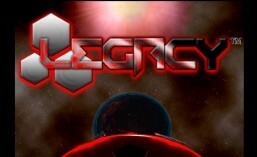 If anyone following would like to recommend a good place to distribute literature for Legacy, feel free to comment!! This entry was tagged #indiegamedev, #legacythevideogame, Intern: Genevieve, New York City, NYC, sci-fi. Bookmark the permalink.